Discussion in 'Mods and Upgrades' started by Mike Kelly, Dec 13, 2014. 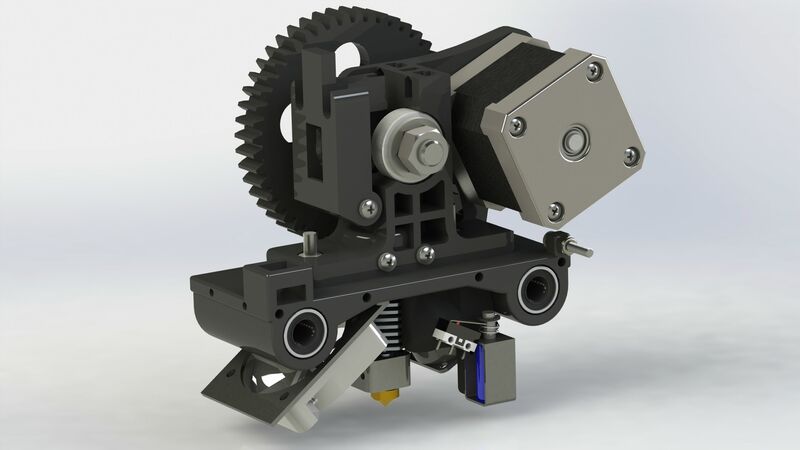 I've designed a custom fan shroud that replaces the stock one on the RoBo3D to work with the solenoid auto leveling. It should work great! Enjoy! For a while now I've been interested in a non-contact or low contact approach to bed leveling. The nozzle touching the bed approach seems to work fairly consistently, but I'm worried about hot nozzles touching sensitive build plates to come. I did take a new approach for it. He used a long lever arm switch where I figured out if you put the switch at an angle you could activate it properly and highly repeatably. For the solenoid I used this one from sparkfun: https://www.sparkfun.com/products/11015 Adafruit sells a very similar one as well. The firmware modifications took a while for me to understand but with the help of ThantiK and @donhuevo I was able to nail down the changed needed for it to work. That's a much better auto leveling system. Something else to add to my to-do list. IMO you will have a consistent, low maintenance z probe. No more fiddling with your z nuts. In celebration of the season I designed a fan shroud inspired by the stock robo3d one but adds solenoid probing functionality. Any material is fine and prints without support. I suggest at least 50% infill to give it a good amount of strength since you want to minimize any flexing that could distort you calibration. 2x M2 - 4mm Self tapping screws $0.563 per ($7.04/25): http://www.mcmaster.com/#96817a840/=v5zsno These are the ones I used but there are many options out there. I think stainless steel is a must as securing into the solenoid was difficult. 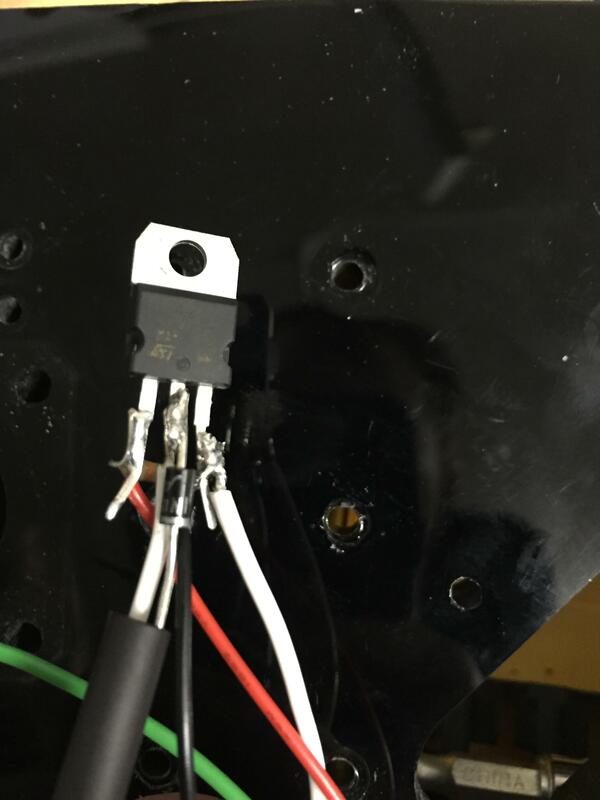 With the solenoid in place you will then want to attach the switch using any screw around 2mm and at least 8mm in length. It will require tapping into the switch itself but that should be fine. The final step is wiring it. As the switch is held down during homing, and a release of the solenoid triggers the switch. http://www.ebay.com/itm/121357773068?_trksid=p2059210.m2749.l2649&ssPageName=STRK:MEBIDX:IT JST 2.0 PH 2 pin connectors. They will work directly off the solenoid so no need to cut wires. This is optional. There are 4 screws holding in the existing 25mm fan, begin by removing them and placing them aside. Be careful when handling the fan to not put too much force on the wires and carefully stow it somewhere. There is a captive nut on the other side of this screw point so be sure to hold that in place and not lose it while removing the screw. The final step with the fan shroud connected to the carriage is to reattach the fan and make sure it still works. 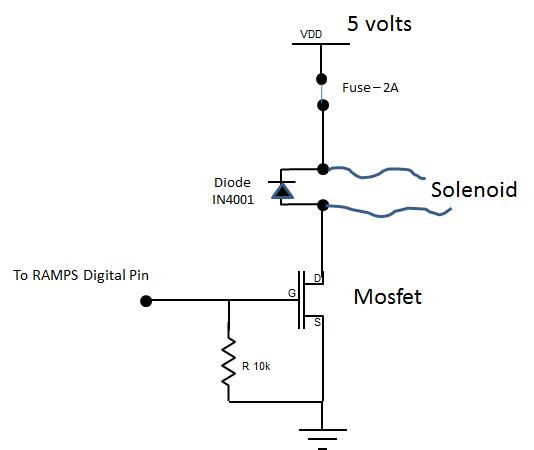 The mosfet can optionally be replaced with a solid state relay that works with 5v DC. For the mosfet I used the same version that comes on the Ramps board because I had it on hand. There's certainly other options. $0.18 1N4001 - For a diode I used an 1N4004 but you could probably just as well use a LED and a 100ohm resistor. In configuration.h there is a variable Z_Probe_Offset that needs to be adjusted. The first is to modify the firmware value. Your value should be somewhere between 1 and 1.5, you will need to calibrate this yourself. Using the Pin 63 as our control pin. You can change this for any other digital output. That should be everything you need to do to get running! Again the only thing you need to add is the Z_offset, everything else is done for you. wonderful design . 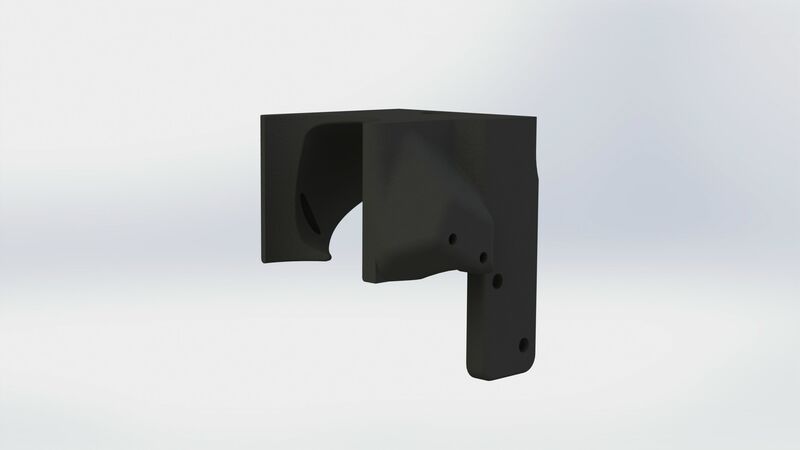 Any holders for the E3D ? Hmm no it would be harder to fit a 30mm fan. I suppose its possible but could be more challenging to do. When these 12v solenoids are switched on the armature moves very quickly and has a fair amount of mass and therefore momentum. I don't know if the glass bed needs to be protected in some way if the probe engages close to the bed?? There is probably a benefit if the solenoid power could be reduced or controlled in a way that reduces the momentum. What do you think? Would that be worthwhile? Well they're 5v solenoids. You can adjust the power by reducing the voltage. It's also a good idea to increase the distance from the bed, but the solenoid activation distance is only 3.5mm so mine activates far from the bed. It was just that I bought one of the relays (whether it's a 12v or 5v type doesn't make much difference to the actual operation). When I tested it I thought the iron armature moved so fast and with such force it could crack the bed if it were too close when it was turned on. No big deal of course if it never gets that close. Another option would be to control the current through the relay to slow it down. I think that's part of the reason Marlins autolevel will raise the nozzle before homing or doing autolevel. I believe its 5mm. Should Z_PROBE_PIN 63 be connected to RAMPS1.4 AUX-2 D63 ? I can't make a solenoid move. The voltage of Pin63 was checked by an oscilloscope. The voltage goes out 5 V, but on time is shorter than 1sec. You're using a mosfet and alternative power source? The ramps can't provide enough current to drive the solenoid by itself. I'm checking movement of solenoid using solenoid with DCDC-Conv and MOSFET. 12V was being input to DCDC-Conv and 3V was being input to Gate of MOSFET. DCDC-conv and solenoid use the same product. 11A terminal for RAMPS and DCDC - conv are connected and 12V is being supplied by ROBO3D. does output times of G63 (5V) become shorter than 1sec? can that enable the solenoid?